Dr. Jabina Ramde received B.S. degree in Biology from the UCLA. Her desire to find a career providing good, compassionate health care led her to pursue her Doctor of Optometry degree from the UC Berkeley School of Optometry. She received certification in the diagnosis and treatment of ocular diseases and glaucoma. She completed her externship programs at the Livermore VA Hospital, Oakland VA Hospital, and Omni Eye Specialists in Baltimore, MD. She has valuable experience in the area of refractive surgery after working at Advance Eye Medical Group in Mission Viejo, CA. She enjoys working with patients that have had difficulty being fitted with contact lenses (astigmatism, bifocal lenses). Dr. Ramde started Eye Lite Optometry in Los Altos in 1999. She has a special interest in bringing eye care to underprivileged children. 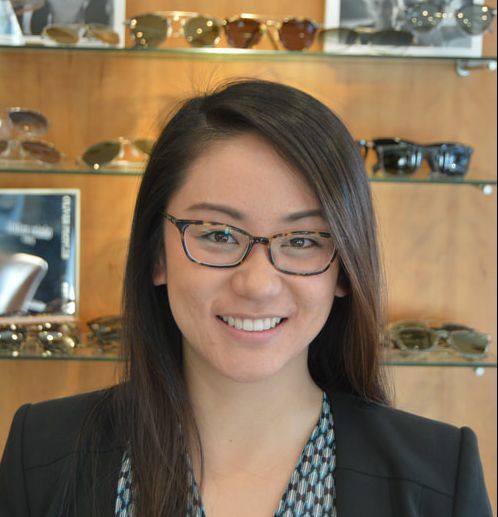 She works with the local Los Altos/Mountain View school districts and PTA to provide free eye examination and eyeglasses for kids. 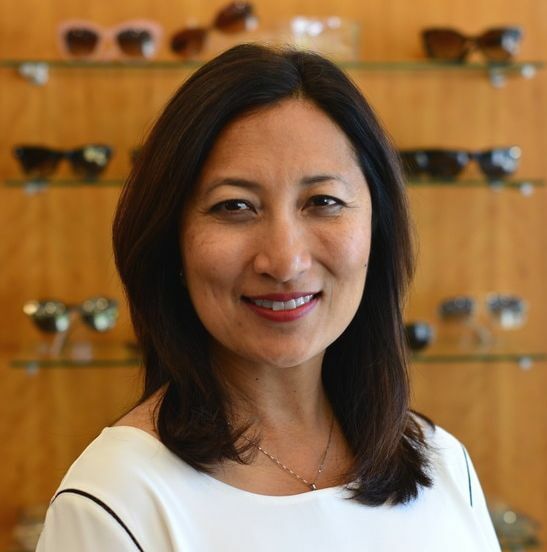 She is an active member of the Santa Clara County Optometry Society and has served as a Trustee of Professional Affair since 2012 to 2014. Dr. Ramde is also a mom of three daughters. She enjoys long distance running and traveling on her free time. Dr. Andrea Dong grew up in Southern California and moved to Northern California with her husband. She graduated from UCLA with a B.S. in Psychobiology and obtained her Doctor of Optometry degree from the Southern California College of Optometry. She completed internships at West Los Angeles Veteran's Hospital, Lawton Indian Hospital, and the Naval Medical Center of San Diego. ​ Joining Eye Lite Optometry in 2007, Dr. Dong practices full scope optometry, including ocular disease and contact lenses with emphasis on quality patient care. Dr. Dong has two daughters. She speaks Cantonese, and enjoys reading, traveling, and spending time with family and friends. Dr. Yuen believes in providing the highest quality of care above all else. Thorough and comprehensive eye exams is what guides her every exam. She received her Bachelor of Biological Sciences degree from the University of California,Davis and subsequently her Doctor of Optometry degree from the New England College of Optometry. She received extensive training in patients with multiple systemic diseases relating to the eye during her externships at Veteran’s Medical Hospitals on both coasts. Dr. Yuen has extensive experience in fitting of contact lenses of all types including soft daily wear,frequent replacement, toric and bifocal contact lenses as well as treatment of various eye infections. Dr. Yuen possesses a desire to serve underprivileged communities. She became a member and treasurer of VOSH, (Volunteer Optometric Services to Humanity) and along with other optometrists and professors, traveled to the Yucatan Peninsula to provide thousands of eye exams to the local community. A native San Franciscan, Dr. Yuen enjoys outdoor activities such as tennis, running, and spending time with her children. Dr. Yuen is always open to new challenges and interests. She recently completed her first half marathon and began learning the martial art of Taekwondo with her two children. Dr. Audrey Chu was born and raised in Los Altos. She attended Homestead High School and subsequently graduated from the University of California, Santa Cruz with a dual degree in Molecular Cellular and Developmental Biology and Psychology. Her passion for patient care led her to pursue her Doctor of Optometry degree at the New England College of Optometry in Boston, MA. Dr. Chu practices the full-scope of optometry including contact lenses, low vision, and pediatrics. Her extensive training includes internships at VA Fresno, Vision One Optometry, Boston Medical Center, Perkins School for the Blind, New England Eye Institute, and DotHouse Community Health Center. Dr. Chu is a member of VOSH (Volunteer Optometric Services to Humanity), which provides eye care to underprivileged communities; her most recent mission trip was to the Dominican Republic. She is also a member of the American Academy of Optometry, California Optometric Association, and Santa Clara County Optometric Society. During her spare time, Dr. Chu enjoys spending time with her family and friends, traveling, hiking, and eating all the amazing food in the Bay Area.